I am a 17-year-old high school senior applying to colleges. I wish to apply to certain private institutions where the tuition is over 45K. I am doing my best applying for scholarships, but have not heard back from anyone yet. I do not think that my parents qualify for financial aid, they are upper middle class earners. They cannot afford to pay full tuition out of their pockets, and are only willing to put down a maximum of 10K. What is the best way for me to be able to afford four years of 51K tuition plus (hopefully) med school? — Deborah B. People often underestimate their eligibility for student financial aid. You should submit the Free Application for Federal Student Aid (FAFSA) every year even if you don't think you will qualify and even if you didn't qualify for aid last year. The formula is complicated enough and financial aid rules change frequently enough that you can't predict whether or not you will qualify for financial aid. The FAFSA is also a prerequisite for the low-cost federal education loans. The unsubsidized Stafford and PLUS loans do not depend on financial need. You are thinking about applying to some of the most expensive colleges in the country. Even with financial aid you'll be accumulating more than $100,000 in education debt by the time you graduate, and that's before you enroll in medical school. A quarter of that debt will be in low cost federal student loans, and the rest will have to be in Parent PLUS loans or private student loans. A good rule of thumb is to never borrow more for your entire education than your expected starting salary. $100,000 in debt for a Bachelor's degree is clearly excessive. 99.9% of all undergraduate students graduate with less debt. Even if you graduate from medical school you may find it difficult to repay the debt, since you will be accumulating more debt than most medical school graduates. You also should consider the possibility that you may change your mind about pursuing medical school. With that much debt you will be at high risk of defaulting on your student loans, since you will be facing a debt-to-income ratio of about 2 to 1. You will have no choice but to use the income-based repayment or extended repayment plans to get an affordable monthly loan payment. You will still be in debt when your own children enroll in college. If you aren't accepted by one of the elite colleges that have adopted generous "no loans" financial aid policies, you should enroll in an inexpensive public college, preferably an in-state public college so you can live at home. That's one of the most effective ways of cutting college costs. If you graduate from medical school, nobody is going to care where you went for your undergraduate education. So pick the least expensive school with a good pre-med program. It's also worth noting that undergraduate students who graduate with no debt are twice as likely to go on to graduate school as students who graduate with some debt. I am currently a undergraduate student and expect to graduate next year with a dual degree in Chemistry and Communications. My original goal was dentistry, but this is no longer the case. I have finally realized my true passion, culinary arts. It is something I have loved since a child, and I want to pursue it. I currently have about $20,000 in student loan debt, but I will need another $35,000 to get a degree in culinary arts. This amount includes books, equipment, courses, and living expenses. I would like to know if I decided to go independent from my parents, would I have more opportunities to receive grants? I have tried getting grants, but I keep getting declined because of money that my parents have, not me. — Derrick I. You cannot choose to become an independent student. The Higher Education Act of 1965 defines an independent student as a student who is age 24 as of December 31 of the award year, married, with dependents other than a spouse, a graduate or professional student, a veteran or a member of the Armed Forces, or a variety of other criteria. Most culinary arts graduates earn about $30,000 a year. According to the Bureau of Labor Statistics, the median salary for a chef is about $40,000 a year, but that includes people who have been working for decades. The median salary for a cook is about $21,000. You may dream of becoming the next Wolfgang Puck or Julia Child, but most chefs earn a much more mundane salary as a short-order cook at a truck stop. With $55,000 in student loan debt you'll have a debt-to-income ratio of about 2 to 1. As noted above, that puts you at high risk of defaulting on your loans and ruining your credit. 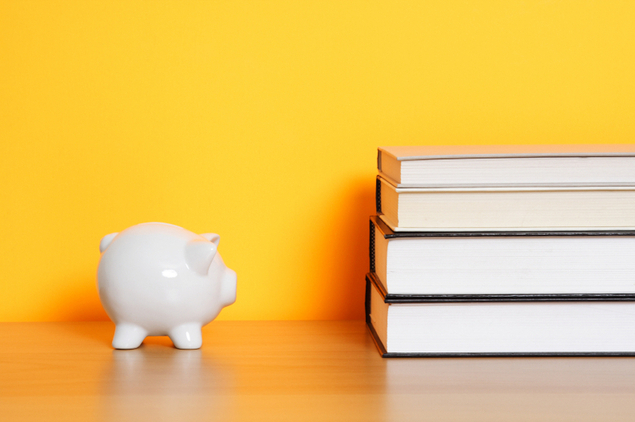 Switching degrees can be hazardous to your financial health. There's a better solution to your dilemma. Graduate with your degrees in Chemistry and Communications. Get a good job and start saving as much of your salary as possible. If culinary arts really is your true passion, it can wait a few years while you pay off your existing student loans and save the $35,000 you'll need for the culinary arts degree.